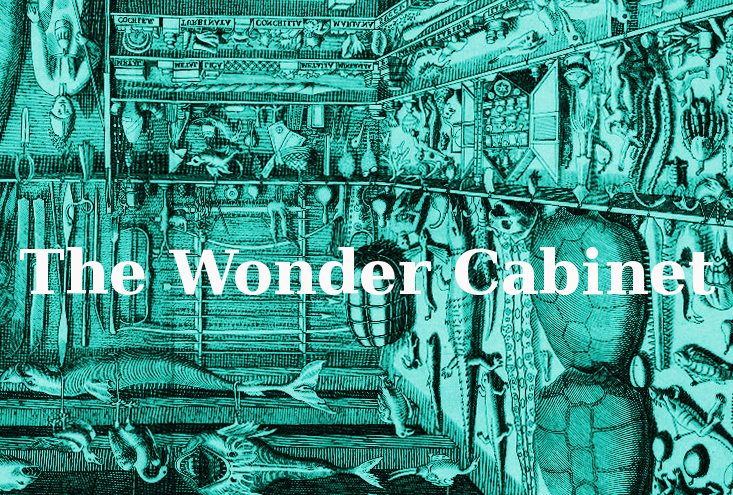 Flux Factory is pleased to announce The Wonder Cabinet, an experiment in collaborative story writing and contemporary wunderkammer. The exhibition brings together an eclectic group of artists – sculptors, costumers, video artists, holographers, and more – to compose a narrative together and build a walk-through cabinet of curiosities filled with elements from the text. The product of a series of round-table discussions, the narrative surrounding The Wonder Cabinet has been published as part of the project with the help of our resident writer, former Flux Artist-in-Residence, Irene Lee. The textual content, including the characters, scenery, and plot, is entirely up to the artists. From there, the artists have physically constructed a gigantic cabinet of wonders in the Flux gallery responding to the story, including a maze of rooms, drawers to open and explore, a ziggurat-staircase, a photo booth, a plinko game installed on our conveyor belt, and installations that activate different parts of the gallery. Artists took cues from the classic “Musei Wormiani Historia” of Ole Worm – now reconstructed at the Geological Museum of Copenhagen – as inspiration to build an immersive space serving as a physical memory surrounding the narrative. While a traditional cabinet is filled with noteworthy items of natural – or occasionally strikingly unnatural – interest, such as fierce pieces of taxidermy, fossils, plants, or ocean life, this project asks artists to build their own history. NEWS: The Wonder Cabinet book, a collection of artist-composed short stories, fables, diaries, and any number of other textual possibilities composed for this exhibition, has officially been published! It’s now available online through Lulu. Please send inquiries to Georgia@fluxfactory.org. This exhibition is supported, in part, by National Endowment for the Arts, the New York City Department of Cultural Affairs in partnership with the City Council and the New York State Council on the Arts with the support of Governor Andrew Cuomo and the New York State Legislature, and the Danish Arts Council.